Diesel Particulate Filters (or DPF) problems are issues that many of us only come across where our cars can suddenly become sluggish, suffering an extreme loss of power which prompts a red light warning on our dashboards. While we've attempted to explain the various problems and potential solutions on these pages - usually the quickest way to resolve such an issue is to call us on 01 459 1308. We will discuss your specific problem with you and advise on the best course of action - and you can then make an informed decision as to how best to proceed. What is DPF Removal & Remapping? A DPF (Diesel Particulate Filter) is a filter built into modern diesel cars that prevents small soot particles being released into the atmosphere. It is a part of your cars' exhaust system. As with any filter it needs emptying periodically and generally speaking this happens automatically by burning up the particles in a process called regeneration. DPFs have been fitted to most diesel cars for almost a decade and, because they need high temperatures to regenerate, low mileage stop-start motoring can cause them to become blocked. Where this happens - if ignored - expensive engine damage can occur. 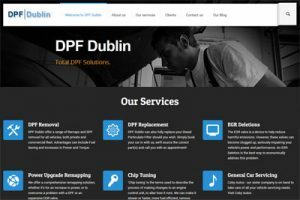 Why choose DPF removal with DPF Dublin? We are established in the tuning & servicing business for the over 25 years, at our base on the Naas Road beside the Red Cow Hotel. Our Maps for DPF removal, power or economy are the best you can get. This coupled with the expertise of our top technicians insures the best results for your money. We offer a DPF (diesel particulate filter) bypass program to our diesel customers. This package includes an ECU remap or emulator, and we also remove the DPF filter from your vehicle. This restores your vehicle’s lost power and greatly improves its’ economy. We take several calls on a daily basis from anxious costumers and garages that are having problems when the dreaded DPF light comes on on the dash. The purpose of a DPF is to remove 80% of the harmful soot from the exhaust gasses, and although a sound idea, it creates a huge problem for people when it blocks up. Will it affect my NCT or DOE test. None of our programs will affect your NCT or DOE test, and we can provide a smoke test result to put your mind at ease. Prices start from €250 (remap only). 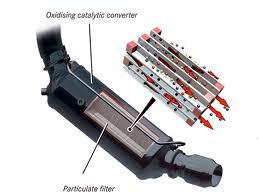 A Diesel Particulate filter is a filter that removes soot particulates from the exhaust gasses. These particulates eventually clog up the filter and restricts the exhaust system, forcing the vehicle into a limp or reduced engine performance mode. Remapping is essentially reprogramming a car’s engine control unit or (ECU). Your cars' ECU is made up of a serious of maps - tables of numbers that are changed to improve certain aspects of the how your engine runs. A fuel additive pump is a system used by some manufacturers to maintain the chemical compound of the soot produced by a diesel engine, automatically adding a liquid each time fuel is put into the tank, enabling the burning of soot out of the DPF at a lower temperature under regeneration. This system is also removed from the ECU maps - ensuring no more warnings. As you will have probably noticed your vehicle may already be in a limp home mode, or have reduced engine performance displayed on the dash. This power will be restored and all warnings to do with your DPF will disappear. If you decide to have your DPF removed before this happens or as a preventative measure, an increase in power and fuel economy will be noticed. Regeneration is the process the vehicle undergoes when trying to unblock the diesel particulate filter. There are two types of regeneration, Passive Regeneration and Active Regeneration. The passive regeneration takes place when the engine control unit (ECU) senses prolonged high exhaust temperature, e.g. motorway driving. The Active regeneration is an adaptive process for vehicles that have a partial blockage in the DPF - typically around a 50% blockage - where a change in the fuelling attempts to bring up the exhaust temperature on shorter journeys. 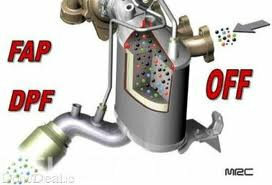 There is little the driver can do to change the effect of how their vehicle's DPF works. Motorway driving does help to keep the DPF free from premature blocking, but eventually they do all block up. Be careful if the warning lights come on your dash, as continued use can cause further damage to other mechanical parts, such as your turbo or catalytic converter. Also if a vehicle is trying to regenerate too often, you will find the oil level can in fact rise to a dangerous level. This is due to fuel getting into the oil, and where this happens it can cause serious damage to or even blow your engine. Call us on 01 4591308 or fill in the contact form below and we'll get in touch with you to discuss how best to proceed.